Long Lost Part 2 #4 is out 11/21. By Zack Quaintance — Since Matthew Erman and Lisa Sterle began their comic Long Lost, this story has felt like one of longing for the two principal characters, sisters Frances and Piper. When we first met them, Frances lived an almost hermetic lifestyle in a relatively clean and spare apartment, seeming to have little in her life other than her dog. Her sister Piper was more outgoing yet also more reckless, often to her detriment. They were both, perhaps, equally bothered to be estranged from their mother, their aunts, and, most importantly, from each other, even if they showed it in different ways. There were also hints all along that the two characters were being herded by some sort of supernatural force, not quite a ghost and not quite a monster, a being (or beings, plural) that was not of any origin we could understand, putting forth machinations that made both the characters on the page and us, the real life readers of the book, wonder about the nature of this story’s reality, wonder what was true and what was paranormal. For the past two issues, though, the earlier slow-burning character drama has been dispensed with as the plot heads toward its conclusion and starts to tell us (or more accurately, starts to suggest) what has been happening all along. The action has intensified in this comic, as have the dangers faced by the two protagonists, while the clarity has remained obscured. In fact, at one point in Long Lost Part 2 #4, one of the sisters blurts out a plot point, noting that her understanding of it could be wrong. It’s leading to a story rich with suspense and tension. I’ve experienced Long Lost as a mystery from the start, and for it to turn proscriptive now would be a disservice to all the issues that came before it. Instead, the creators here are making the wise choice to give us as readers almost exactly as much information as their protagonists have about what’s happening and why. The result is a decidedly character-driven horror-tinged suspense story, one in which tone is used well to make readers feel fear and confusion, the level of emotional investment in each other’s fates too, that is being felt by the characters on the page. This has been a great year for comics that deal in such intense feelings, and, with its understated approach, Long Lost continues to be among the best. Will we get answers before this is all through? Well, it certainly seems to depend on what ultimately happens to the lead characters. We know more than we did at the start. We know whom to trust and whom to approach with a level of caution. We know more about the state of the family, the reasons they’ve been driven apart. Most importantly, however, we know that the longing these sisters felt at the start of the story has been altered, that they are now both acutely aware of how much they’ve always meant to each other, and it’s that relationship that remains this book’s beating heart. By Zack Quaintance — This is a little bit of a hangover week after the deluge of titles last Wednesday. Nevertheless, there are still plenty of comics to spotlight and look forward to, with a pretty strong crop of new #1 comics set to hit shelves. We’re specifically excited this week for books like American Carnage and Middlewest, but those are far from the only worthwhile new series for curious comics fans to checkout. Our top comics to buy for November 21 are also a strong and eclectic bunch, which is generally speaking the type of Wednesday we like best. Days after a big new Black Hammer TV and film deal was announced, that series rolls onward with Black Hammer: Age of Doom #7. Simply put, Black Hammer is the rare comic that has just gotten stronger since its debut, spinning into a new world of titles. And it wasn’t even our pick of the week! You’ll have to scroll down (just a little) to get to that. Carl Creel was just trying to live. But sometimes trying isn't enough. Now, to save the life he built for himself - and maybe everything else - Carl Creel has to do the impossible. 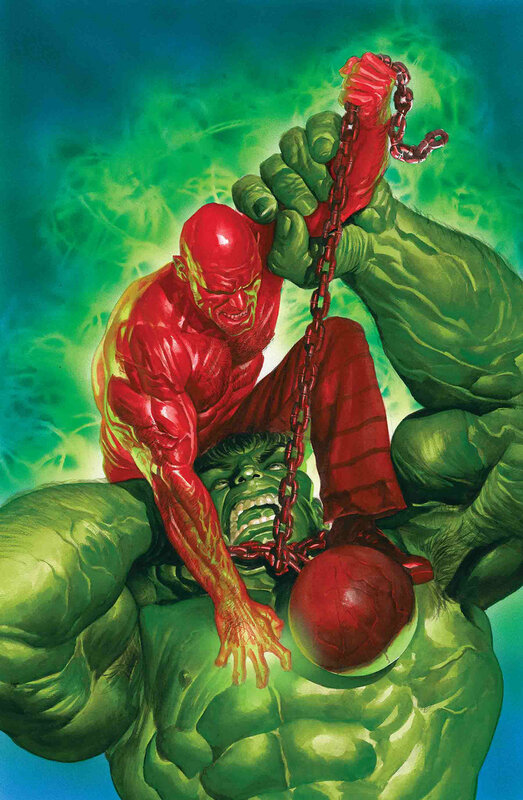 The Absorbing Man has to kill the IMMORTAL HULK. Why it’s cool: Immortal Hulk just keeps getting better, to the point where I can pretty confidently call it the best superhero comic coming out today. We also have a soft spot for ol’ Carl Creel after the humanizing Saladin Ahmed and Christian Ward did in their excellent Black Bolt series from last year. As Colonial Weird tries to figure out the new world he's found himself on, the character's he's met explain not only their origins, but potentially the origins of all things. 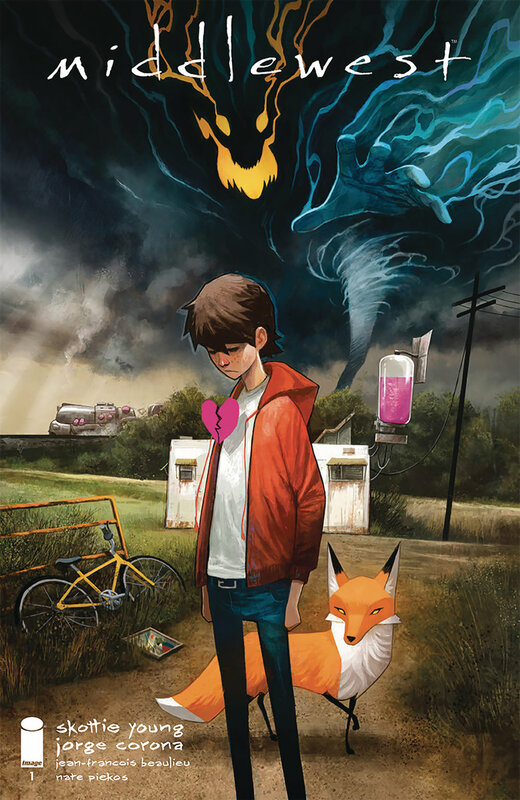 Weird's time is running out, and the events of this issue will change the way he sees the world forever! Why it’s cool: As noted in the intro, Lemire and series co-creator Dean Ormston got the TV deal, and it’s about time! Black Hammer is such a cool concept, a shared superhero universe filled with stories being told by a singular guiding voice and a stable of unbelievable artists (kind of like early Marvel), one unbeholded to any corporate interest, which gives it the feel that anything can happen. Now it’s coming to TV! But first, you all should pick up this issue, wherein Lemire is again teaming with guest artist Rich Tommaso on the backstory (or front story?) of Colonel Weird. Cover goes to Paris as Max is sent to the iconic Angoulême International Comics Festival, where he is about to receive their highest award. But did he earn it...or is it all part of an international spy cover operation? As the worlds of spycraft and comics clash in ways Max could never have imagined, his life-and more importantly, his artwork-begin to collapse around him! Why it’s cool: This is the best comic about making comics. There aren’t many of them, unlike in other fields. Essentially, there’s plenty of fiction about making music or making movies or even running restaurants, but there isn’t much of that about what it’s like to make comics. Cover is setting out to change that by imagining what it would be like for series artist David Mack to tangled up in doing undercover work for the CIA. It’s a great book that any and all long-time fans of the medium should be reading. Dorothy Khoury has accidentally created two more dead bodies. The number one problem with most corpses is...they're super hard to get rid of. Now, the frightened Khoury family must cover up the trail of blood they're leaving behind, while also projecting strength. They finally have a hostage they can use to negotiate an end to the war with the Moran Family Mafia. Why it’s cool: The plot thickens like an expertly made sandwich being sold on a cold night in the Midwest. 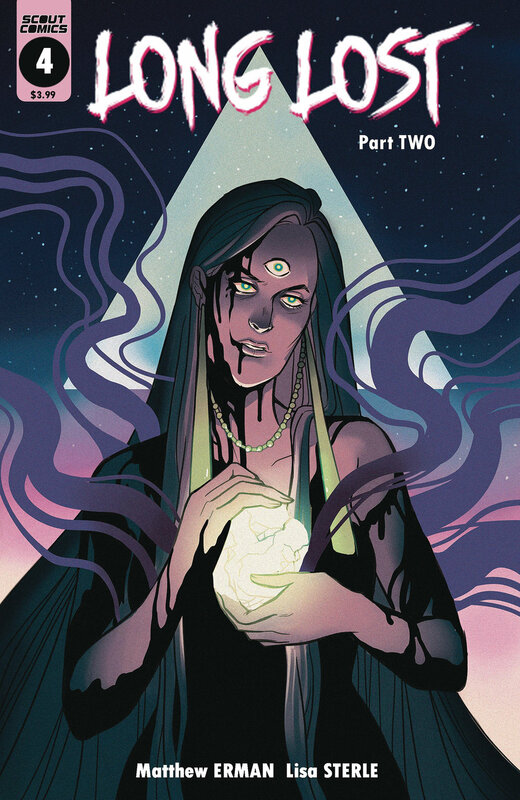 This generational crime saga is coming to an exciting head in this penultimate issue. 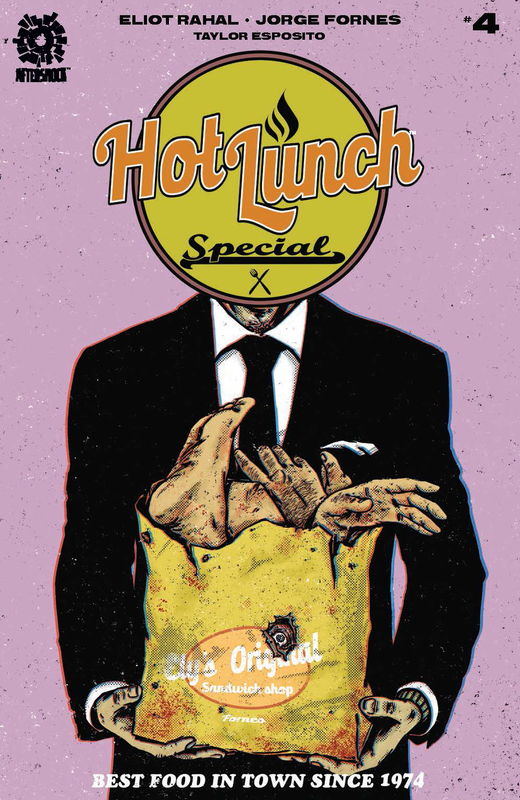 Basically, in Hot Lunch Special things are never as they seem. No, they’re always worse, and we love it! The Mountain that looms over Hazel Patch has changed, leading to a confrontation in the woods. Piper and Frances are reunited with no time to spare as they scramble to safety. Pursued by a horror beyond their imagination, will they finally get the answer to what happened to their mother? The puzzle pieces have fallen into place and the mysteries are revealed as Long Lost hurdles towards an ending. Why it’s cool: Long Lost is such a forlorn and welcome blast of sparse and poetic graphic sequential storytelling. We love this series, quite a bit, and it’s as good as it’s been from its start as it continues to head toward its end game. There’s no way we’d recommend quitting now. After a bunch of Martians come along and ruin everyone's day (and planet), Spencer and the Major find themselves a bunch of second amendment lovin' boys who ain't afraid of no space men! But maybe safety isn't as guaranteed as one would like when flying saucers and laser pistols are involved...? Why it’s cool: For starters, you don’t have to know a single thing about the Mars Attacks film or franchise (I didn’t) to enjoy this series. Next, this second issue does all the same great things as its predecessor with great characters and razor sharp humor...plus it throws in some plot points that have to do with America’s gun obsession. We won’t go into any of them, because spoilers, but we will note that this is a comic you should all be reading. Also, there’s a dog now!